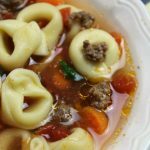 A simple supper recipe made in the crock pot, this Hamburger Tortellini Soup has only a few ingredients. A make and walk away meal. Great for busy nights. So this meal was a great one for our house. Not only did it feed us on an extremely busy night, it also helped me make a video using my new editing tools. 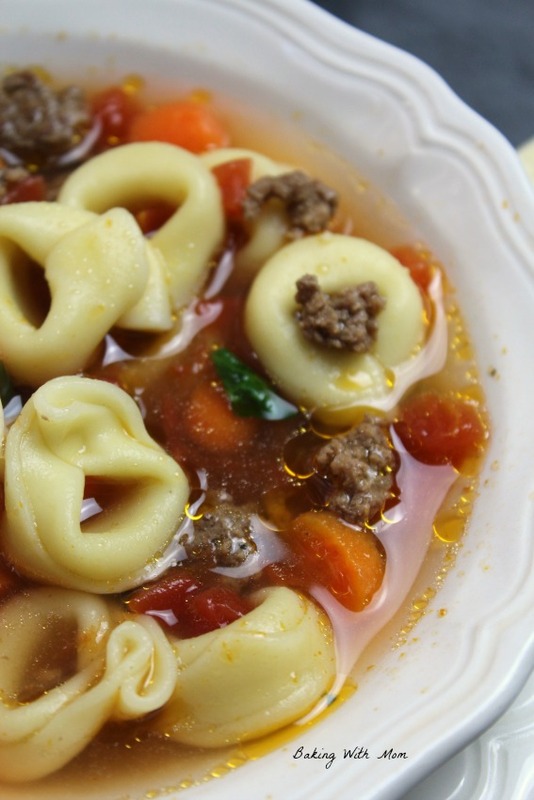 You are going to be able to watch the video on how to make this Hamburger Tortellini Soup. Exciting stuff, wouldn’t you say? It is for me. Especially because it took me almost 24 to figure out how to edit it on Adobe Premiere. But we got it. The hamburger tortellini soup is rather exciting too. 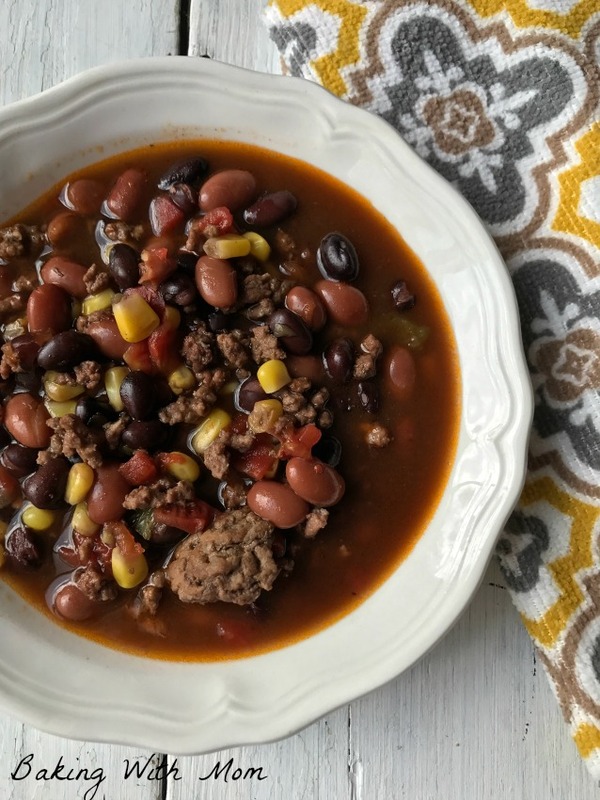 After all, it is only a handful of ingredients, it cooks all day in the crock pot and when you get home from running the kids around, you can all sit down to a nice warm meal. To make this soup, you really only need 6 ingredients. The 7th ingredient is some spinach I threw in the soup last minute. It isn’t needed but fresh spinach tastes great anywhere and it adds great color to the soup. Hey, the health benefits of spinach aren’t bad either! To make this soup, simply add vegetable broth (or use beef broth) to a crock pot. I almost always use beef broth for this, but I had some vegetable broth on hand and wanted to see how it would taste. It adds a nice depth to the soup. So it would be personal preference on which to use. After the broth, add cooked hamburger, carrots, tomatoes, tomato sauce and some chopped spinach if desired. Cook the soup on high for at 4 hours or low for 6-7. 30 minutes before eating, place tortellini’s in the crock pot and stir. Put the lid back on the crock pot and let cook for an additional 30 minutes. Serve with crackers and maybe a little cheese on top. Delicious! 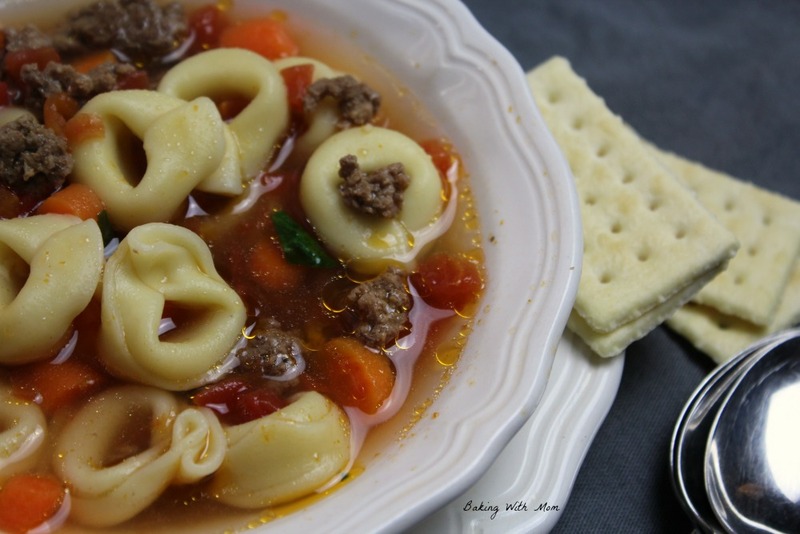 Hamburger Tortellini Soup in a beef broth base with tomatoes and carrots. Cooks in a crock pot all day for a simple supper recipe.